The Homeschool Scuttle | What are homeschoolers talking about? My son certainly wouldn’t have been ready for public kindergarten either. Oh, not because he couldn’t read. But because from the very beginning, my child had a mind of his own. Anything he wanted to learn, couldn’t hide from him. We provided our son will the things he would need, we took what I like to call a multimedia approach to his education. We used the Hooked on Phonics for about a month, my son liked the cards. He loved any kind of flashcards. So, I punched holes in them and made a ring out of them. He played Reader Rabbit. We kept the closed captions on the television. I even had an art easel in the garage, I would write one letter each evening. When my son woke up, he head out to see what a had written. Sometimes, he’d copy it, other times, he would leave me a letter. We covered the entire house with post it notes. We would play games with them. We had so much fun. We didn’t worry about teaching him to read. When he was 18-months, I thought he could read already, because I could take a dozen black VCR tapes and he would match them with the covers. He hardly even looked at them. He finally decided to learn to read, because he wanted to play a video game and refused to spend more than half an hour playing. It had a lot of reading in the game. When he complained I made a deal with him. We would put it up until he learned to read, but then he would be allowed large blocks of time to play and complete his mission. It took him two weeks. I was amazed, he was 4.5 years old, and he did it himself with the tools we helped him create. When I was a child history was something that happened a long time ago, what could it possibly have to do with today. I’m sure many of you have discovered as I have that the future is intertwined with our past. Patterns emerge because governments have developed a pattern of operations. In case you were wondering, our government is a hot mess and while they can collect all the data in the world, it takes time and money to analysis the data. I think half the time they are bluffing the citizens with their show of power and might. It’s important to understand our past so that we can understand where we are and what to expect in the future. The Hiding Place — The book is good but I love the movie, do consider watch it. 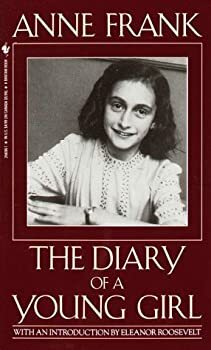 Anne Frank: The Diary of a Young Girl — A beloved classic since its initial publication in 1947, this vivid, insightful journal is a fitting memorial to the gifted Jewish teenager who died at Bergen-Belsen, Germany, in 1945. Born in 1929, Anne Frank received a blank diary on her 13th birthday. The Secret Holocaust Diaries: The Untold Story of Nonna — Nonna Bannister carried a secret almost to her Tennessee grave: the diaries she had kept as a young girl experiencing the horrors of the Holocaust. This book reveals that story. Five Chimneys: A Woman Survivor’s True Story of Auschwitz — This is the story of a woman who spent about seven months in Auschwitz and survived to tell the tale. She wrote this book shortly after her ordeal, while her horrific experience was still fresh in her mind. Alicia — After losing her entire family to the Nazis at age 13, Alicia Appleman-Jurman went on to save the lives of thousands of Jews, offering them her own courage and hope in a time of upheaval and tragedy. You will find so many really good books out there on the holocaust. Encourage your children to explore history from all angles. Here are some excellent movies. These are among my favorite that I enjoy watch time and time again. Miracle at Midnight — I’ve only seen the movie. A family helps their neighbors escape the Nazi’s. The Devil’s Arithmetic — The film proved to be the most riveting and attention-holding movie I can ever recall showing. In it are contained superb acting, eerie (and effective) musical interludes, and a suspense of time-travel that will hold teenagers absolutely spellbound! Hidden in Silence — Przemysl, Poland, WWII–the city comes under Nazi control. The Jews are sent to ghettos. Catholic teenager Stefania Podgorska (ER’s Kellie Martin) sneaks 13 Jews into her attic.